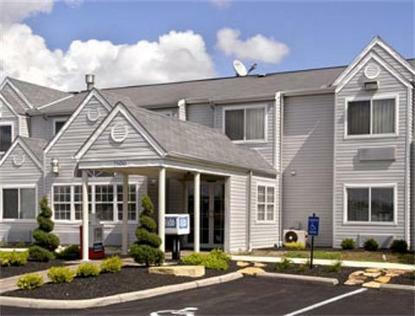 The Columbus Days Inn and Suites Worthington is a newly renovated 92 room property. We are conveniently located in Worthington's business district, in North Columbus at I-270 and Route 23 North with restaurants, shopping and movie theater with-in walking distance. The Days Inn features an expanded complimentary continental breakfast including Belgium waffles, a computer with high speed internet access 24 hours, interior corridors with electronic locks, vending machines, a free USA Today weekday newspaper and adding an exercise room and guest laundry room. Amenities in our guest standard rooms and suites include refrigerators and microwaves, coffee maker, in-room safe, Iron and Ironing board, hair dryer, free local calls, voicemail, 27 inch TV/free HBO, and free high speed wireless internet. Sorry No Pets Allowed.